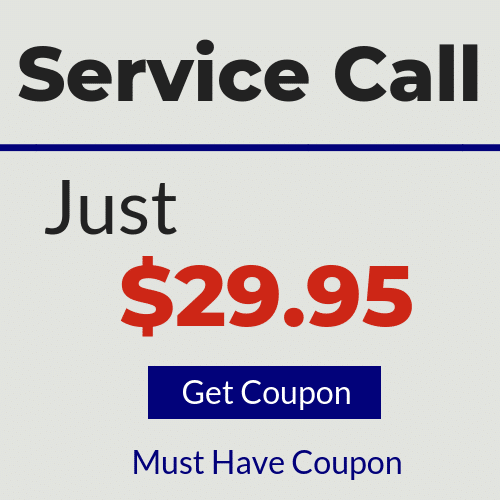 Same day service for your AC repair and installation needs. We are a heating and air conditioning contractor licensed and insured to do business in the state of Florida. Our technicians have been serving customers in Volusia and Flagler counties (including Daytona Beach, Ormond Beach, Port Orange, Palm Coast and Deland) for over 15 years. We are committed to providing you with quality HVAC services and products at a fair price. Our services include AC repair, AC installation, heating repair, air duct cleaning and much more. We offer some of the best warranties in the industry. Contact us and ask about our specials. 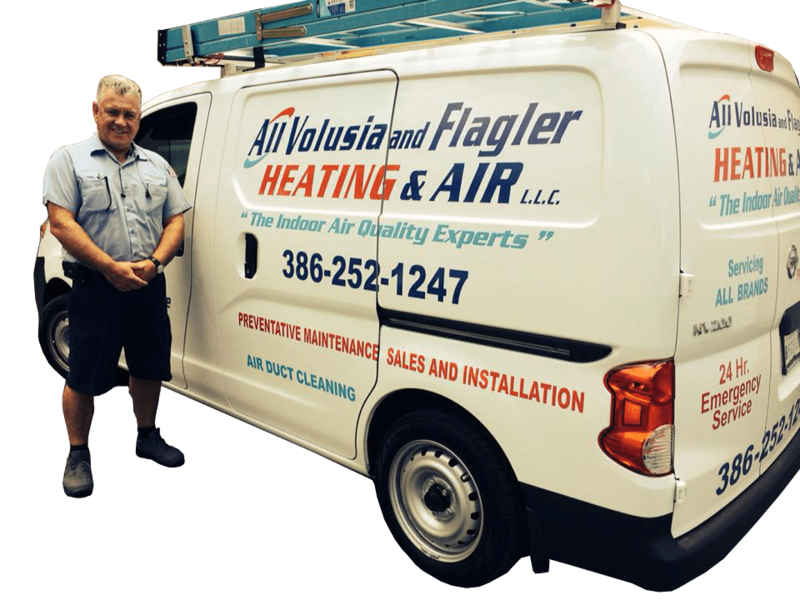 When you choose All Volusia and Flagler Heating & Air, you are getting experienced professionals who have worked with many different brands and home types. 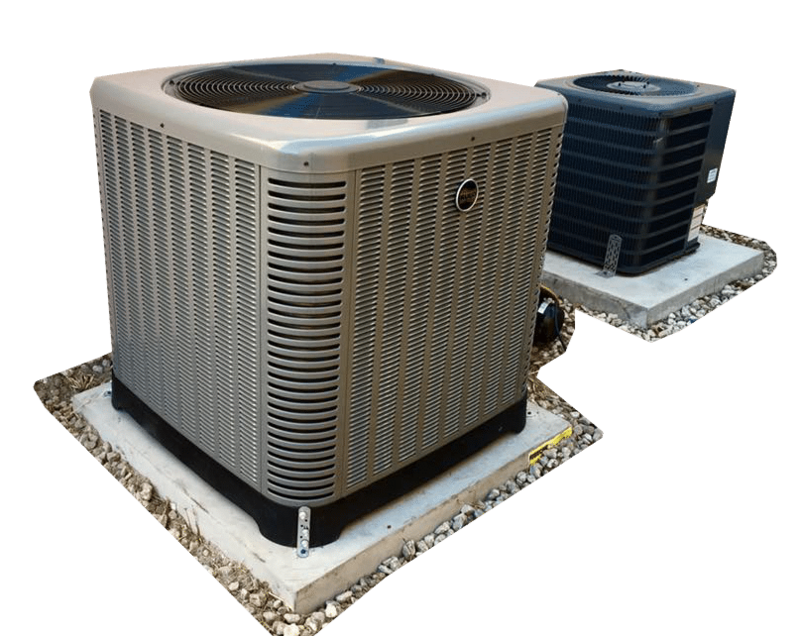 We will recommend the best unit for your house to meet your AC installation needs. Dealing with Florida heat is no joke! 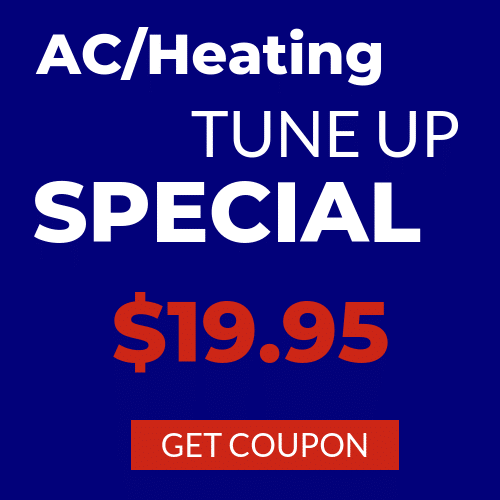 We want to get your AC up and running and make sure it stays running all summer. All Volusia and Flagler Heating & Air can come the same day for your AC and heating repair needs. Maintaining your HVAC unit in Florida is very important to ensure that it continues to work properly. Whether you are in Daytona, Palm Coast, Ormond Beach, etc. 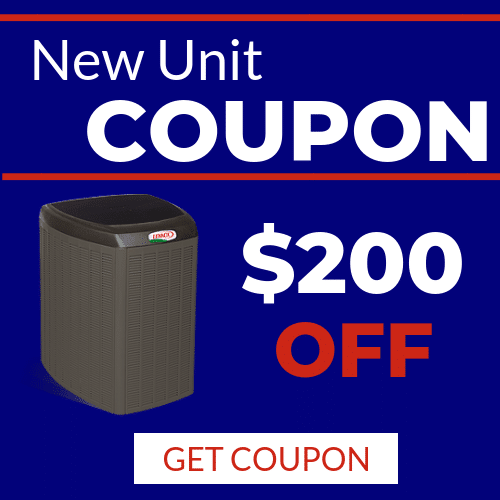 we specialize in keeping your HVAC unit running at its peak level. Keep the air in your home clean by getting your ducts cleaned and sanitized. Our Anti-Microbial Duct Sanitization Treatment kills bacteria, mold, viruses and helps to reduce allergens in the home. Learn more about our duct cleaning below. Proper attic insulation could mean a huge difference in your home’s energy bill. 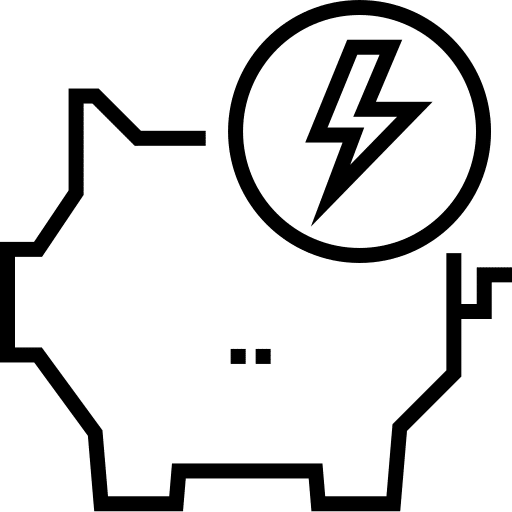 If you are experiencing large electric bills or if you feel your home is not maintaining consistent temperature settings throughout, call us today! If your HVAC unit won’t reach the desired temperature, is frozen, won’t turn on or has any other complications, it may be time to call an HVAC company. We are here to help with these issues and so many others. In order to ensure that your HVAC unit continues to work properly each and every year, it is important to have it serviced every year. With proper maintenance, we can help your HVAC system operate as efficiently and effectively as possible and with proper inspection, we’ll catch any weakening or damaged parts and bring it to the homeowner’s attention immediately in order to prevent more costly damage before it happens. We make sure the proper city permits are secured. Everything is completed thoroughly and up to city code. Code is in place for your safety, so installations must always be up to code. We schedule your inspection with the city for you after the installation is complete. No hassle or chores for you, the homeowner. We take care of the process for you. We register every new system’s warranty for you. We do this to make sure you have the fullest warranty possible on your new investment and when the registration is complete, you’ll receive all your proof and documentation by us in the mail. We leave your home cleaner than how we arrived. We believe the installation process is just as much of a product as the new system itself. Our work area will always be left clean and without debris, and your new system and surrounding area will be left looking clean, neat and professionally installed as it should.